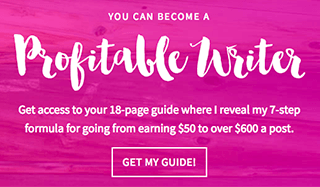 Get Paid to Write Online is a free 6 day email course by Elna Cain. It will get you set up to land your first freelance writing job. 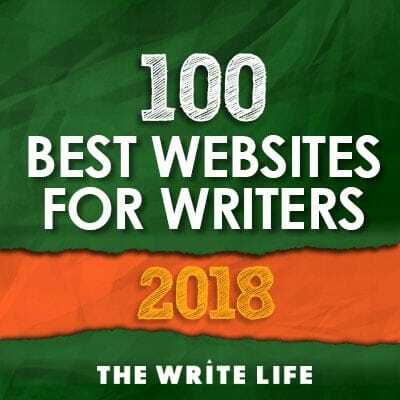 Join over 1,000 people who have taken this course and are committed to earning a living from freelance writing. Click here to learn more. 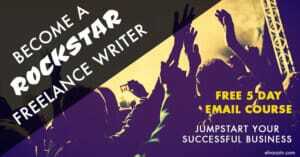 Become a Rockstar Freelance Writer – A Free 5 Day Email Course to Jumpstart Your Successful Business is a course by Elna Cain for aspiring writers who are finding it difficult to succeed as a freelance writer. This course is my blueprint for rockstar success. 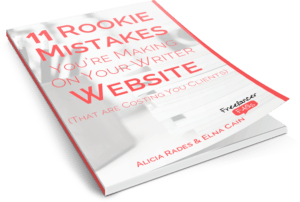 It will give you the foundation you need to kickstart a successful freelance writing business. Click here to learn more. 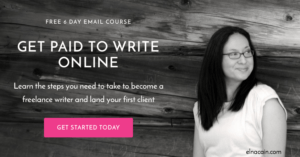 Write Your Way to Your First $1k is the first complete freelance writing course from Elna Cain. 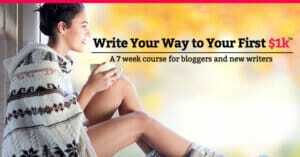 It’s a 7 week self-paced course for new writers. 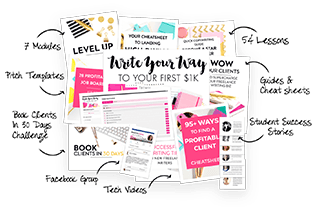 She provides a solid framework and goes step-by-step from figuring out if this is what you really want to wowing your clients with your work and submissions. 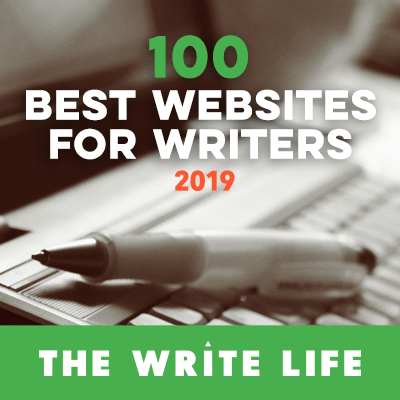 With extra bonus material, enhanced video training, a thriving private Facebook group and ongoing support from her, it would be hard not to succeed as a freelance writer. Click here to learn more.